I haven’t liked a Big Bang album this much for a while. Actually, Remember was the last time I was this much in love with an entire Big Bang album. 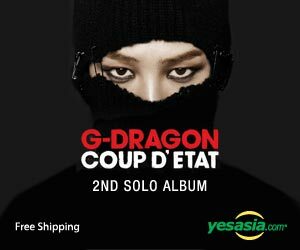 It seems that YG, Teddy and the boys put a lot of effort into this mini-album, and it paid off big time. While Fantastic Baby is fun and Ain’t No Fun is smooth, the most intriguing song on Alive is Bad Boy. It’s the gem of this album. The instrumental layers alone tell a story. Add in the vocals of Big Bang, and the song is unstoppable. Producer Choice37 did some amazingly creative things with the beat and hook. You’d be hard pressed to find its equal today in the pop music scene, let alone just K-Pop. To top everything off, Daesung is back and shining brighter than ever with his solo song, Wings. Pil-Kang Choi helped create a song that perfectly matched Daesungs strong vocals. It’s a beautiful blend of rock and pop, bringing together the elements needed to let Daesung show off a bit. In short, Big Bang has finally outdone themselves with Alive. If it’s true that they have a full studio album coming out later this year, I can’t wait to see what else they’ve been working on because Alive was sure worth the wait.